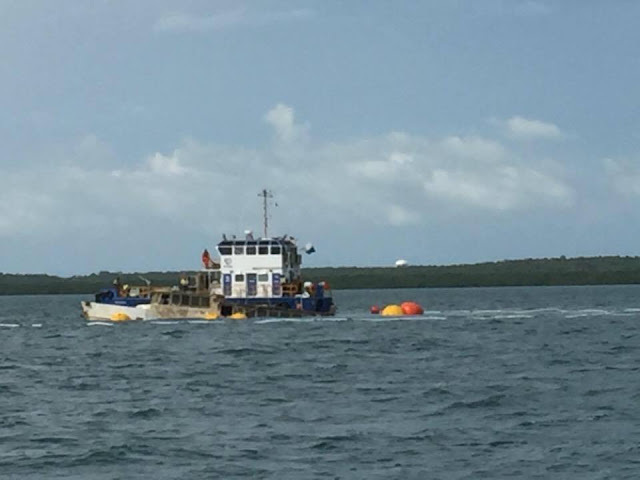 Have you been following the progress of WWII Ship HDML 1321? Were you wondering if HDML 1321 would be destroyed before Remembrance Day? If you've been keeping up to date on the SAVE 1321 page you will already know that she has the Darwin Port doing their best to rescue her! Although she has faced a few obstacles in being lifted to dry land, it seems the Harbour Defence Motor Launch 1321 knows her place in history and how she played a significant role in WWII transporting the Z Special Unit Commandos for Operation Copper and as such intends to make a splash by being lifted from the water on this special day, Remembrance Day. Now the fund-raising can begin in earnest to restore this special part of history as a permanent tribute to the Z Special Commandos. You can help by sharing this post, donating directly to Save1321, hosting a fund-raising event in your local area or donating a raffle prize. 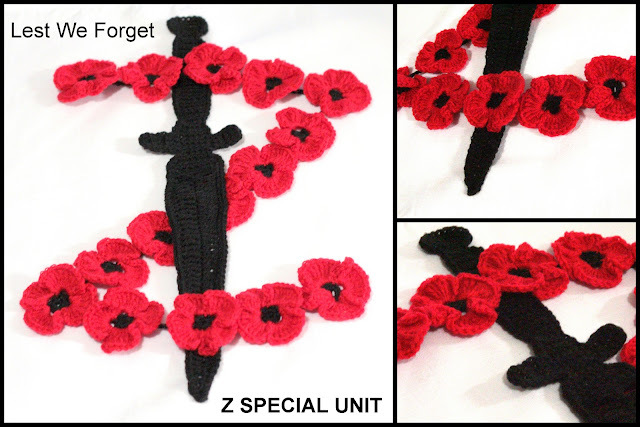 The pattern for this crochet tribute to Z-Special Unit will be available shortly. Please comment below if you would like to be notified as soon as it is ready. 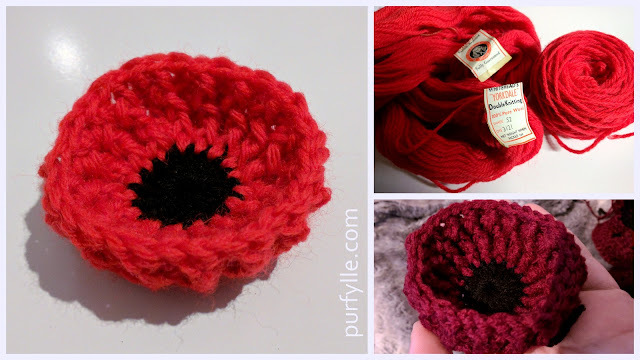 In the meantime the pattern for the below tribute by Crochet is the Way is available now. It's so exciting to see her above water! I'm glued to my computer today, waiting to see her all the way out. Your pattern is awesome! 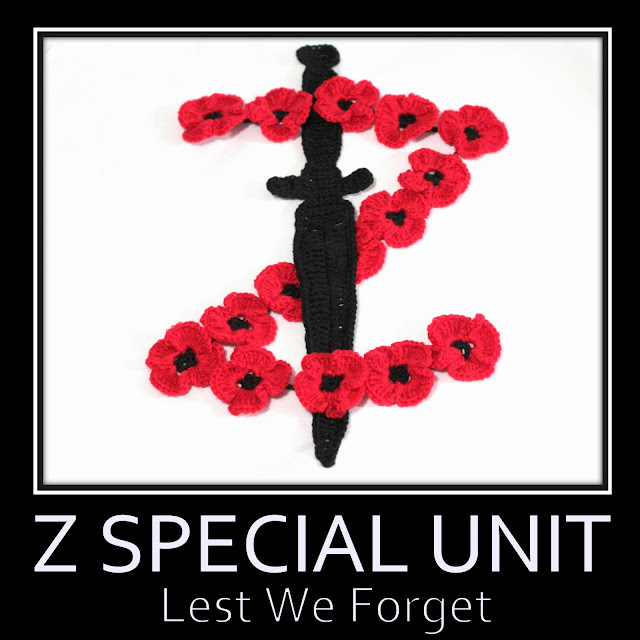 It's a perfect tribute to the Z-Special Unit. Thank you for including my pattern, too. The minute I saw yours, *face palm*, I knew what I did wrong. Made a graph and everything, and never realized the "Z" goes behind the dagger. And that's why I failed art class every year in school :) I haven't sewed it yet, so now I can fix it when I do. Thank you again for sharing the story of the HDML 1321 - I've enjoyed learning her history and look forward to even more stories about the Z-Special Unit. To see her raised on Remembrance Day would be an amazing tribute. I hope it all goes as planned! 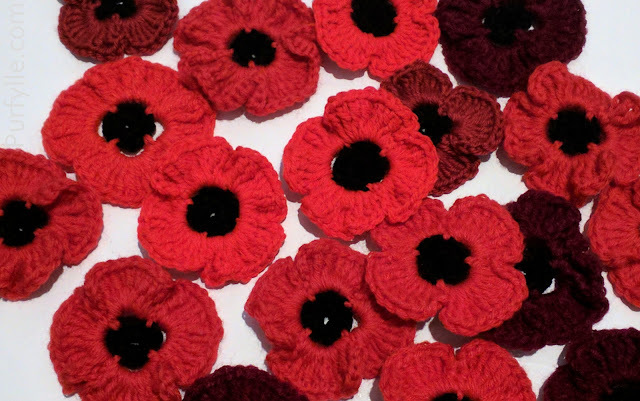 It's very fitting that she was raised to the surface on Remembrance Day and lifted the rest of the way and pulled to shore on yours. (It can be weird being so far ahead of the rest of the world sometimes). I copied the banner from my other post for how to position the dagger. I had a bit more time then you to spend on getting it published. I love that our patterns are both unique. Send me new pictures when you've made the changes you want to make and I'll add them.